This is a special post for a dear friend of mine, Elma Cheeseman, whom I met through my publishing business. She is 93 years old and published a fabulous recipe book called “Gran’s Cookery Chat”. Well, needless to say, I have tried many of her tried and tested recipes and always a delight for the whole family! I told her about the Gardening Blog and she has been following my every move ever since. She wrote to me one day and suggested I try strawberries! Well, Elma – I hope you are reading this! LOOK! I have planted strawberries! 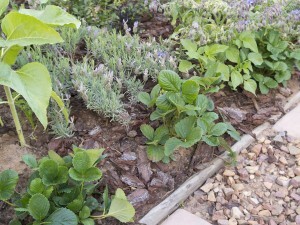 I have a special area where I’ve planted my peach tree and blueberry bush and now my strawberries! This is my Sugar Patch! I have borage blooming here too and this is a bee magnet! So all my fruits are well pollenated! 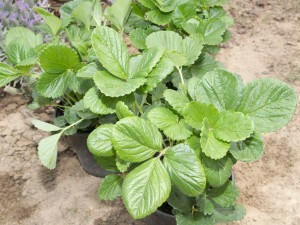 I have seen some flowers on my strawberries already, so I will keep you up to date on when the lovely fruit appears! Strawberry and Cream anyone? Thanks, Elma, for your advice and your support and your friendship! I planted strawberries in spring 2010 and now they are crawling out of the raised bed and planting themselves everywhere. I am not good at making my plants behave. I bought these great pop up plant protectors to keep the birds from eating them otherwise I wouldn’t have gotten any. 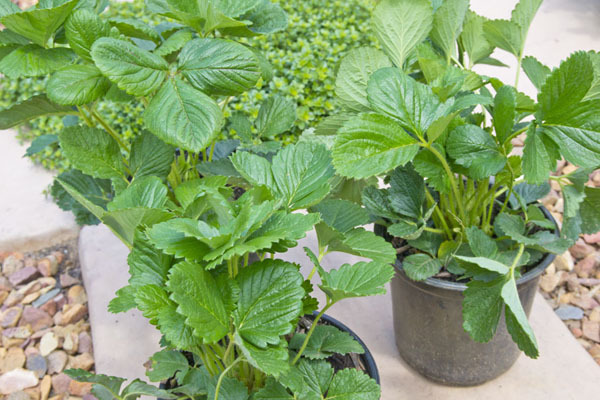 You’ll love growing your own strawberries…although, I admit, it can be difficult getting them as far as the kitchen some mornings! I am so excited about my new bushes – it will be a delight to bring in my own fruit for a fruit salad bowl!